Live updates from Merseyside and west Cheshire have finished for the day, but we'll be back from 08:00 on Tuesday with more of the latest news, sport, weather and travel. Rain will clear leaving many places dry for the night but some patchy rain around. Mild and frost free night with winds easing. Lows of 8C. Video caption: Rain will clear to the south later leaving many places dry for the night.Rain will clear to the south later leaving many places dry for the night. The two living members of the Beatles have teamed up for the first time in seven years. Paul McCartney and Ringo Starr were in the studio together over the weekend, working on Ringo's latest album. Ringo also tweeted pics of guitarist and former Eagles member Joe Walsh and bassist Nathan East. A council tax increase of almost five per cent has been agreed by Wirral's ruling Labour cabinet. A woman was taken to hospital after being found at a property in Grundy Close at about 02:15 on Saturday. Her condition is described as serious. The house is being forensically examined. A 46-year-old man was arrested on suspicion of grievous bodily harm and was later released on police bail. A body, believed to be that of a homeless man, was discovered in the Leeds-Liverpool canal in the Vauxhall area. Lord Mayor of Liverpool Roz Gladden presented film director David Yates with an official scroll as he was added to the roll of Citizens of Honour. Quote Message: There is and has always has been a tremendous beating heart that for me defines Liverpool. It starts with the people – their energy, humour, kindness, and sheer indefatigable spirit makes you feel like anything is possible. There is and has always has been a tremendous beating heart that for me defines Liverpool. It starts with the people – their energy, humour, kindness, and sheer indefatigable spirit makes you feel like anything is possible. Making films here has always been a joy because of it. And I’m touched and proud to be welcomed back once more as an honoury citizen - not many awards are able to bring you home in quite the same special way as one like this. A man is due to appear in court charged with two counts of sexual assault. The allegations relate to a 16-year-old girl and a 45-year-old woman at St Johns shopping centre on 18 January. A 33-year-old man is due to appear at Liverpool and Knowsley Magistrates' Court later. NHS costcutting plans could see the A&E unit at Southport hospital closed or significantly downgraded. UKIP's regional chairman for Merseyside has told BBC Radio Merseyside that he is not calling for leader Paul Nuttall to resign. Adam Heatherington quit the party this morning along with UKIP's branch chairman for Liverpool, Stuart Monkham, after accusing Mr Nuttall of being unprofessional and party donor Arron Banks of "crass insensitivity" over the Hillsborough disaster. Mr Nuttall said he was sorry last week for false claims on his website that he had lost close friends in the 1989 tragedy. Mr Banks later tweeted he was "sick to death" of hearing about Hillsborough. He should have took it down sooner - it's been on his website for some time... he shouldn't have actually said those things and he needs to apologise." Zeb Taia joins on a three-year-deal from Gold Coast Titans while Joe Greenwood moves in the opposite direction. Sir Tom, who is also going to be performing in woodland in Cheshire and Staffordshire, has said he loves performing in these unusual locations. He said: "I had a great time being part of the Forest Live concerts last year, so I am delighted to be coming back again and performing in three more of these beautiful woodland locations. "It’s important that people are aware of our forests and come to enjoy them, so I hope you can join me!" A man was injured during an attempted armed robbery at a Chinese restaurant on Grange Road West, Birkenhead. There's going to be a Merseyside derby in the Women's FA Cup with Liverpool Ladies taking on Everton Ladies in the fifth round on 19 March. A Porsche previously owned by The Beatles' George Harrison which was almost scrapped for parts is to be auctioned. The 37-year-old Porsche 928 was owned by Harrison when he lived in Henley-on-Thames, Oxfordshire, was sold to Raj Sedha, from Leeds, in 2003. Mr Sedha was about to dismantle the car before his wife looked in the logbook to find it had been owned by Harrison. The car is expected to fetch up to £20,000 in Stockport on 17 March. Nearly every local authority in England is planning to raise council taxes this year but council leaders are warning services still face "deep cuts". 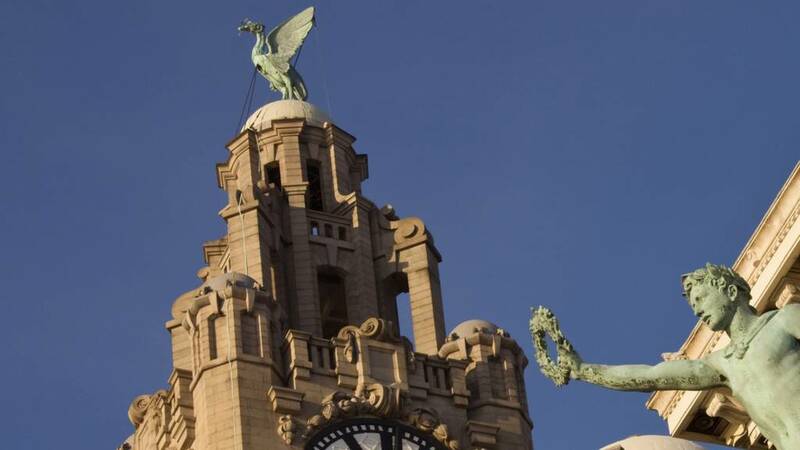 Last week it was announced council tax in Liverpool is to rise by 4.99% and some councils have warned libraries, bin collections and other services will still face funding gaps. The Local Government Association says the cost of care for increasing numbers of elderly people is forcing up bills. The government insists it is giving more money to councils. Liverpool have submitted plans to the city council which will aim to make Anfield more accessible for wheelchair users. Kraft Heinz has abandoned its offer to buy Unilever, which has sites on Merseyside. The Anglo-Dutch Marmite maker rejected the US food giant's bid on Friday, saying it saw "no merit, either financial or strategic" in Kraft's offer, worth about $143bn (£115bn). Unilever has a plant, research centre and IT hub at Port Sunlight in Wirral. M53 Cheshire northbound severe disruption, at J9 for A5032. M53 Cheshire - One lane closed on M53 northbound at J9, A5032 (Ellesmere Port), because of a broken down mini bus and recovery work. Traffic is coping well.